Lance Avery Morgan: Chandra, you are on the hit show of the season. It’s sort of like winning the jackpot isn’t it? 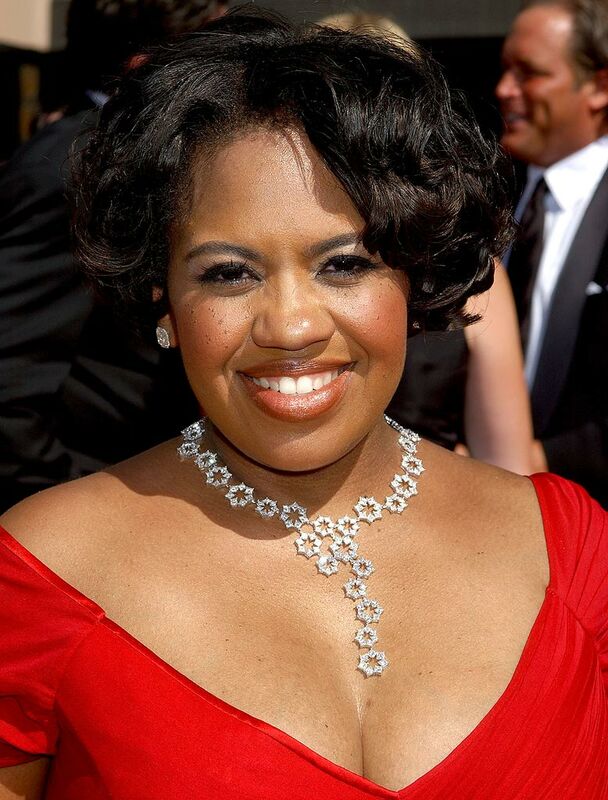 Chandra Wilson: It is! It’s like being on the outside looking in. We’ve had two seasons of getting the series together to where it is now. We were in a borrowed time slot starting out, and it’s been a building process. I’m so proud of it. LAM: Were you surprised that yet another television medical show became a hit? CW: I feel we are more than a medical show. We spend so much time dealing with the relationships. We’re interns, just regular folks, saving lives and showing what that journey is like. It’s about how a doctor’s personal life is affected by that career. LAM: You’ve had a great deal of theatrical experience – did you find that translated easily to T.V.? LAM: And the New York Times called you one of its “eight to watch” when you did Caroline or Change on Broadway – that’s quite an honor. Did it propel your career? LAM: It does seem pretty surreal. And I heard you were even on Cosby back in the day – you must have been a child back then – what was it like? CW: It was my first job and it was when I was a sophomore in college. It was a great way to get started. LAM: A lot of actors get typecast as a character – now that you are playing such a tough cookie, are you concerned you might be locked into that sort of role in the future? CW: To me it’s kind of a compliment. It means I’ve done a good job with the character. Plus, I never get cast with what’s written in the original script of a project. Originally, my character, Miranda was a short, blonde woman. LAM: Many of our readers know you've done a lot of musical theater. Do you miss it? CW: Yes, you know, I did it for so long. I grew up with it and now I have an opportunity to continue to stretch this part of my acting muscle. LAM: If you weren’t an actor, what would you be doing? CW: Finance. My bread and butter was working in Deutsch Bank in New York while acting. I prepared documents for financial acquisitions. I loved it. CW: It’s all 100% my mom’s doing. She said ‘you are not going to be idle.’ So I began modeling and dancing at four and never stopped. That included performing with the fantastic Theatre Under the Stars in Houston. CW: You know, I’m a jogging suit kind of gal. I’m learning there’s more. I do like things that are more form-fitting now and I’m giving it a chance. LAM: Yep, so is your persona stylist-style or Chandra-style? CW: Not yet. It’s all me. LAM: Any advice for our aspiring actor readers? CW: Do your work and do your study. The human-being kind of study, too. All of that feeds your work. Then go do it. I’m a 36 year-old African American female. With children. I’m still doing my dream every day - making it happen.